Want to Step Up Your Game? Join The Revival of WTW. World Title Wrestling began in 1999, and after a 4 year hiatus, starting in 2006, it's back, bigger, badder, and better than ever. With a fresh new WWE.com style website. Come join TNAvsWWE if you are looking for a fun place to roleplay as you favourite superstar and rise through the ranks to become the world champion! From the twisted mind that created Revolution2k7 comes a fed as insane as the man who created it. Start your engines... it's gonna be a WILD ride! WWE Extreme Entertainment V.2 just opened september 16! So come join! a new fed winners are based on quality rp a fair and fun fed with great story lines and dedicated staff come join today. 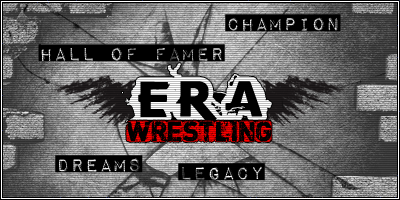 An Efed for RPers of All Skill Levels to come and have fun, and be successful. Enjoy. Great new E-Fed with a weekly show, Genesis. We are a new E-Fed and were always looking for new members, Experienced or not. We also have much else to offer like a sleak great Skin, Great GFX Makers & Many OOC Boards. New ERA of Wrestling - Est. January 29, 2004! An efed that allows both created and real wrestlers. We are set on bringing you quality matches, quality results, and interesting story lines. Sign up with VCW today and get ready to experience the violence! The Authority still at the helm of this flying Dutchman, they share their power with the black sheep of the McMahons, Shane McMahon. Brand new fed based in Wilkes Barre, PA, we are starting small and working our way up. Original wrestlers only, use your imagination!